The supply chain upheaval caused by the growth of e-commerce has rocked the retail world and there is more to come. A recent example of where things are headed on the fulfillment front can be seen in the efforts of Parcel Pending, a four year old package management company that recently launched an outdoor refrigerated locker product for rental communities. Parcel Pending was founded by Lori Torres, a former real estate industry executive whose experience in the rental community world allowed her to recognize the growth of e-commerce was creating package management challenges for apartment complexes. The company’s new lockers are cooled to between 35 and 44 degrees so food stays fresher longer even when shipped with standard dry ice or gel packs used by online retailers. Those issues also are being addressed further upstream in the supply chain by packaging solutions and fulfillment providers. 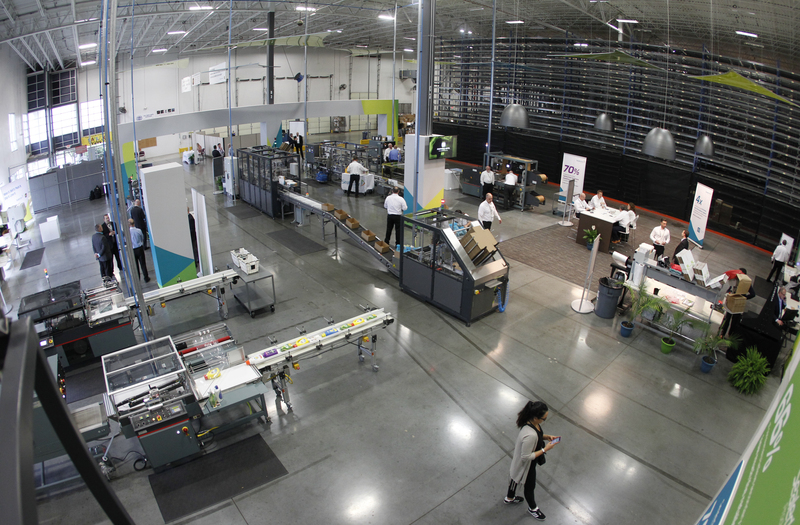 As retailers and brands reimagine their supply chains, UPS and packaging service provider Sealed Air have opened a first-of-its-kind Packaging Innovation Center. The 6,000-sq.-ft. facility is located in Louisville, Ky., at the UPS Supply Chain Solutions campus near the company’s massive Worldport global air facility. The center is designed to help solve the packaging and shipping challenges of e-commerce retailers, and companies in many other industries, by maximizing efficiency, minimizing waste, reducing shipping costs, and increasing brand affinity. Some of the innovation showcased at the center includes an automated system that eliminates the need for outer cartons, which can reduce dimensional weight by as much as 87 percent and an automated right-sizing system that eliminates empty void space in each box by as much as 60 percent. “The partnership between Sealed Air and UPS allows us to combine our decades of expertise and innovation to help our customers create those exceptional delivery experiences from the point of manufacturing all the way through to the last moment of truth in front of the consumer,” according to Jerome Peribere, President and CEO of Sealed Air, a company best known for its Cryovac and Bubble Wrap brands. The Packaging Innovation Center is the latest step in a strategic partnership between UPS and Sealed Air that began last November. Initially, the partnership gave UPS customers access to package engineering expertise and services available at Sealed Air’s global network of 27 Packaging Application Centers. Those facilities provide design, testing, and packaging performance analysis. The arrangement also brought Sealed Air into the ecosystem of solution providers who participate in the UPS Customer Technology Program (CTP) that connects businesses vendors of hardware, software, peripherals and packaging. UPS also operates a Package Design and Test Lab where packages are tested before they ship to expose them to varying levels of temperature, air pressure, shock, compression and vibration. The lab can simulate moving a package throughout an entire supply chain, creating real world experiences that lead to custom-design solutions for specific packaging needs. The testing services are a compliment to the packaging options offered through the Sealed Air / UPS partnership.